Reservations for dinner at 'Pony X Nordlandet' can be made two months in advance. Tables for 1-8 guest can be booked online. 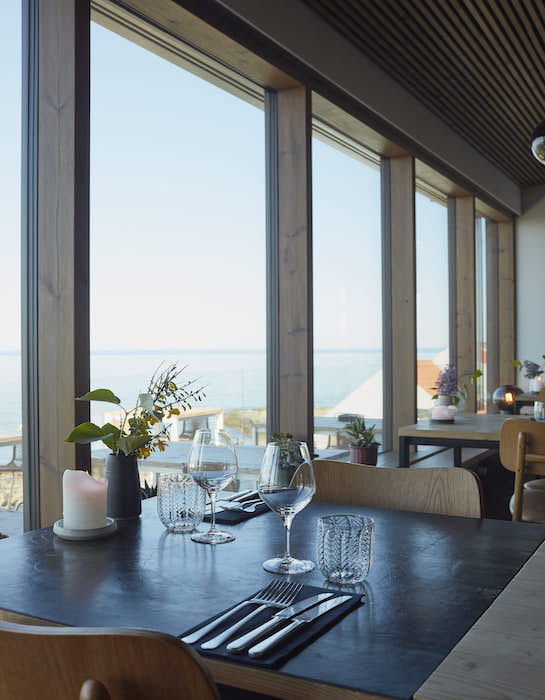 Tables for 9+ guest can be booked via email at restaurant@nordlandet.dk. The same fixed menu must be preordered for all guests. book without a time limit, please choose any time after 20.15.
visible from every table in the restaurant! For lunch, pleasedrop by Underbar - our hotel bar on the terrace, to enjoy snacks and light dishes from 12.00 till late. At Underbar its not possible to book a table - simply just drop in. can accommodate almost anything, if we know in advance.